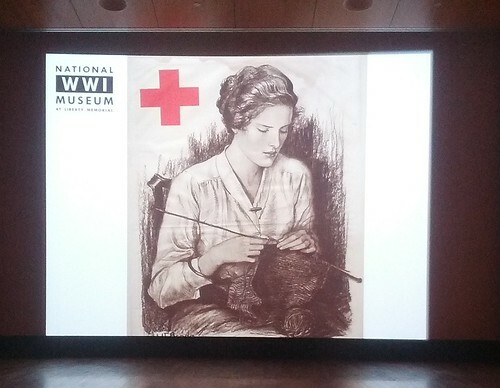 This past weekend I attended an event at the National World War I Museum here in Kansas City entitled Mrs. Wilson’s Knitting Circle. The event was open to local knitters free of charge to come and learn about the role knitters and knitting played in World War I. 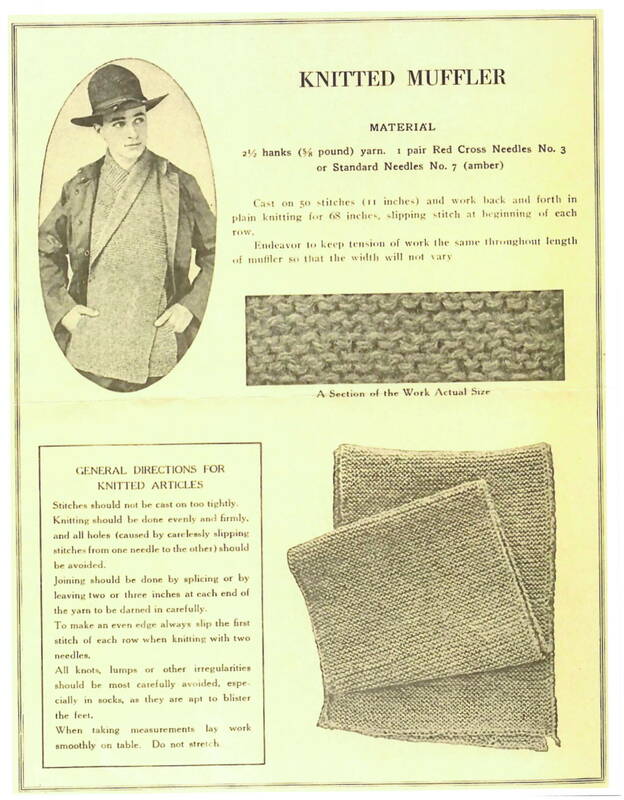 We received a pattern for a man’s muffler, one of the patterns distributed by the American Red Cross to American knitters during World War I and were encouraged to knit it and bring it to share at future meetings. After the event, I was inspired to knit something. My friend Ana had knit a poppy for Remembrance Day last year, and I thought a poppy would be a perfect thing to wear to future gatherings of Mrs. Wilson’s Knitting Circle. 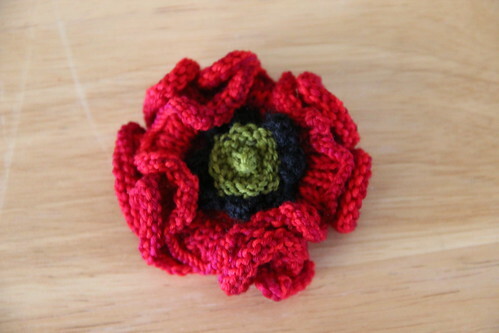 I searched Ravelry and found Remembrance Poppy to Knit by Katy Sparrow. It was a little fiddly to knit but, when finished, it looks amazing.